St. Clair Hospital has appointed noted heart surgeon and innovator Andy C. Kiser, M.D., FACS, FACC, FCCP, as its new Chief of Cardiac Surgery, marking the start of a new era in cardiac surgery at the Hospital. Dr. Kiser joins St. Clair from the East Carolina Heart Institute, affiliated with the Brody School of Medicine at East Carolina University, where he served as Chief of Cardiac Surgery and the John Mark Williams Distinguished Professor in Cardiac Surgery. Prior to that, he served as Chief of Cardiac Surgery and the Byah Thomason-Sanford Doxey Distinguished Professor of Surgery at the University of North Carolina at Chapel Hill. 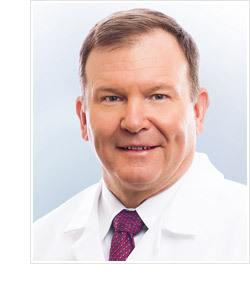 Dr. Kiser earned his medical degree from the University of North Carolina at Chapel Hill, where he also completed a residency in general surgery, as well as fellowships in cardiac and thoracic surgery. Dr. Kiser is a fellow of the American College of Surgeons, the American College of Cardiology, and the American College of Chest Physicians. He recently earned an MBA degree at the Kenan-Flagler Business School, also part of the University of North Carolina at Chapel Hill.